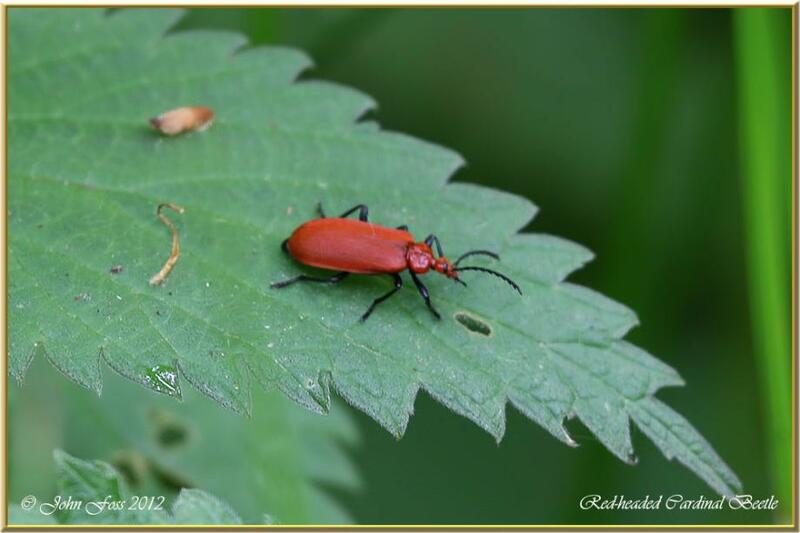 Red-headed Cardinal Beetle - Flies from May to July. They are predators and feed on other insects. This beetle likes to sunbathe like this one perched on nettle leaf at Hilton Nature Reserve Derby.